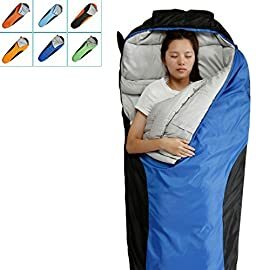 THE MOST COMFORTABLE SLEEP WHEN TRAVELLING OR CAMPING. 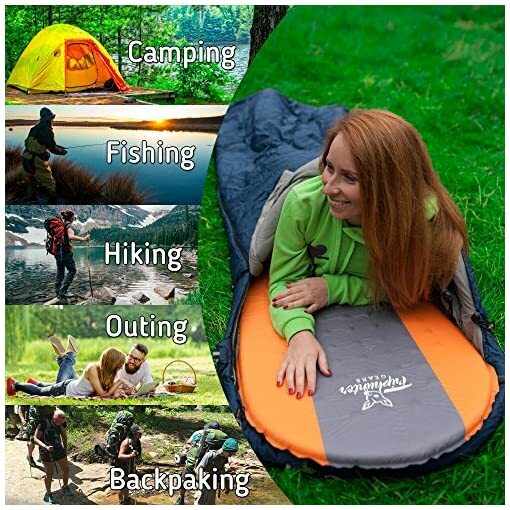 The Self-Inflating sleeping pad for camping provides a comfortable, warm and dry sleeping place when resting in nature, camping, or traveling. 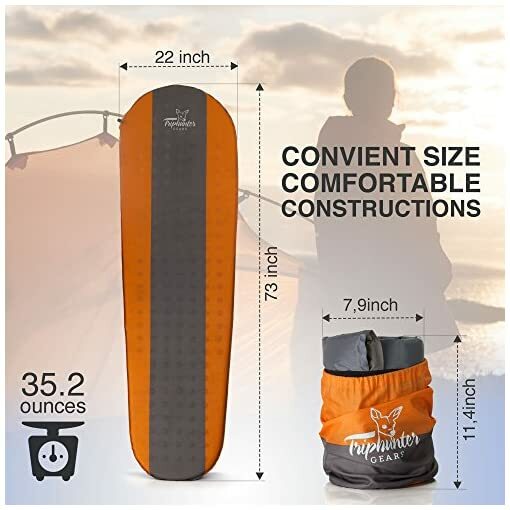 1.5 inches THICKNESS. 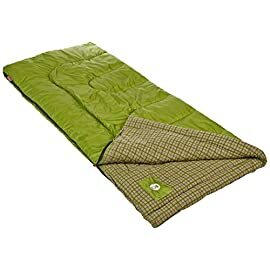 The thickness of our sleeping mat (unlike our competitors’) is 1.5in. 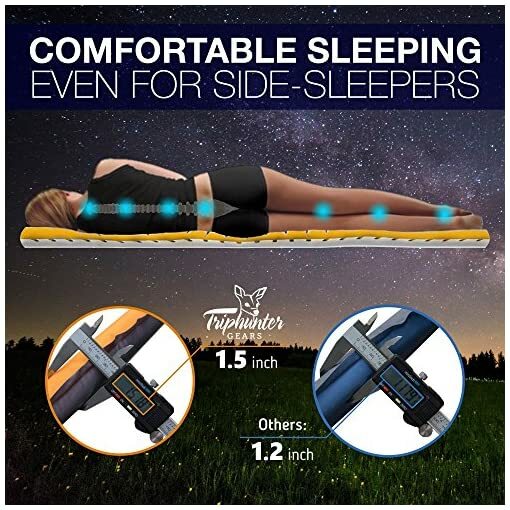 This means you won’t feel the uneven ground underneath your body (and it will be comfortable to sleep in any position). 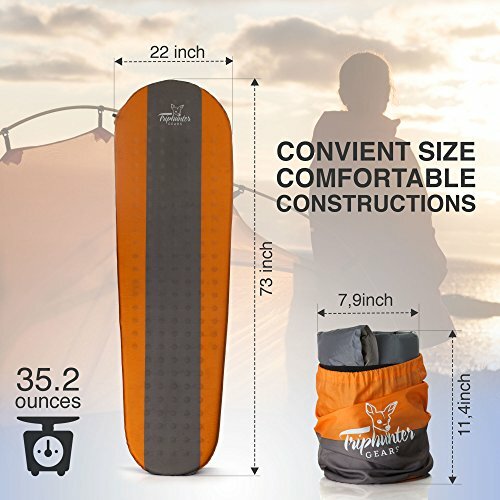 The weight of the pad is just 37 ounces, and its dimensions are 73 х 22 х 1.5 inches. 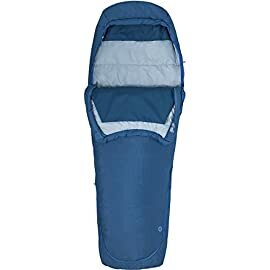 THE EASIEST TO USE. 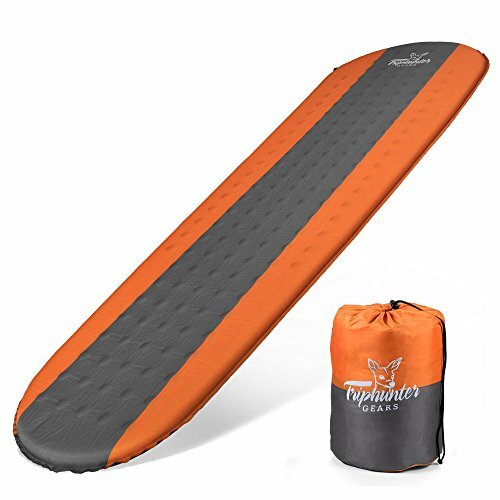 The sleeping pad doesn’t need any additional tools or equipment. 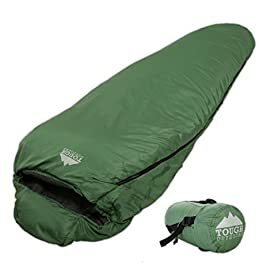 You just take the mat out of the bag and put it in your tent or under the open sky. 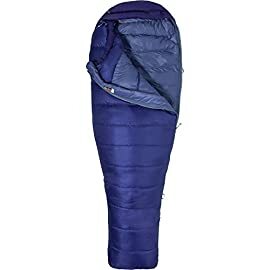 To fold the camping sleeping pad back in the bag quickly and compactly, use the 2 compression belts which are included in the kit. 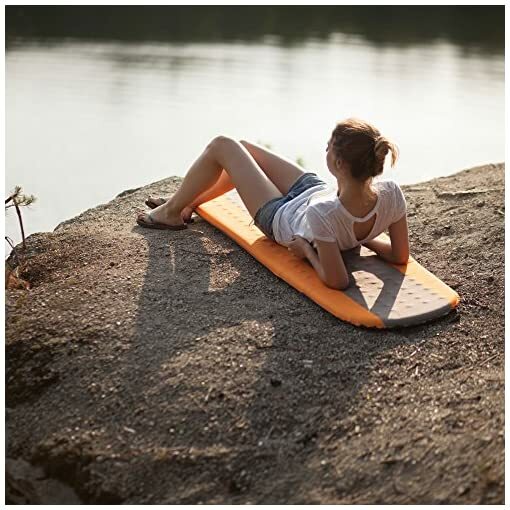 With these rubber strings, everyone will be able to easily and quickly fold the equipment (even a slender girl). 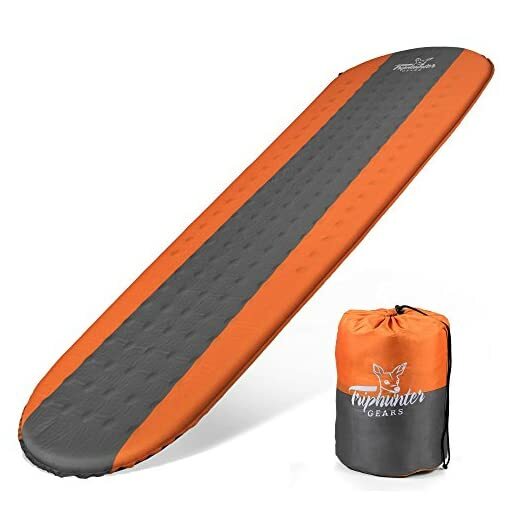 If you like camping, going on trips, climbing mountains, having fun at festivals or just having comfortable bedding for sleeping or rest, the Triphunter sleeping pad for backpacking was made for you! 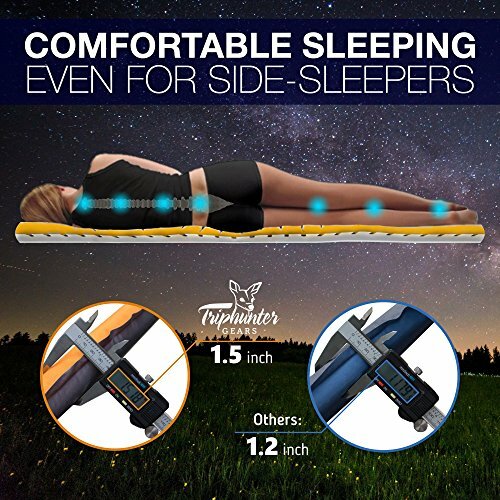 What is a sleeping pad for adults from Triphunter? 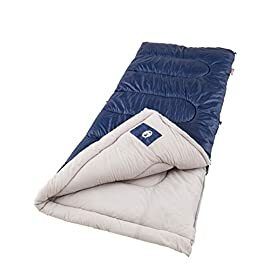 This is a self-inflating air mattress made of a durable high-quality material – 75 D polyester, which protects from cold, moisture and softens all soil unevenness so you can lay or sit comfortably. 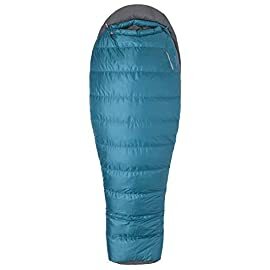 Why is our premium self-inflating sleeping pad better than others? 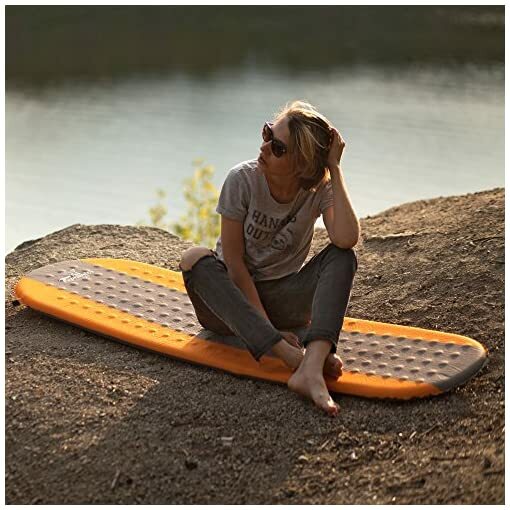 The thickness of our foam camping sleeping pad is 1.5in – it is 0.4in bigger than our competitors’ models. 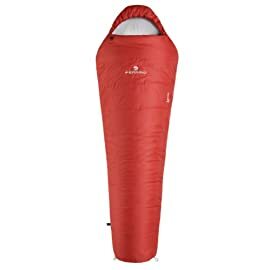 An increased thickness allows the equipment to withstand weight up to 220 pounds and the person doesn’t feel discomfort from the unevenness of the soil he’s sleeping on. 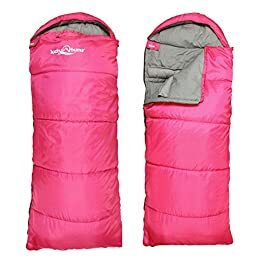 The kit includes a sleep pad for camping with special compression belts (2 pcs), which let you fold the sleeping pad in a bag pouch for quick and easy storage. 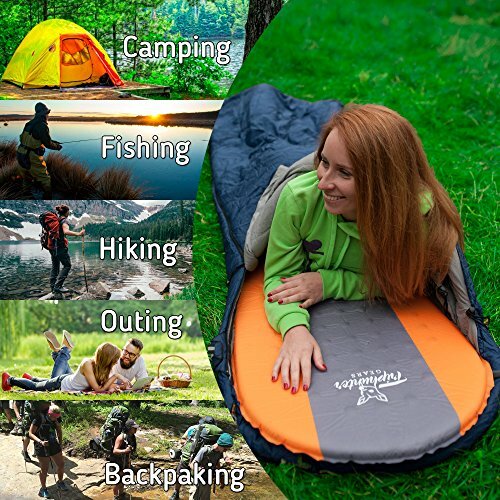 The camping mat is waterproof, with a heat conduction indicator R-value of 3.44. 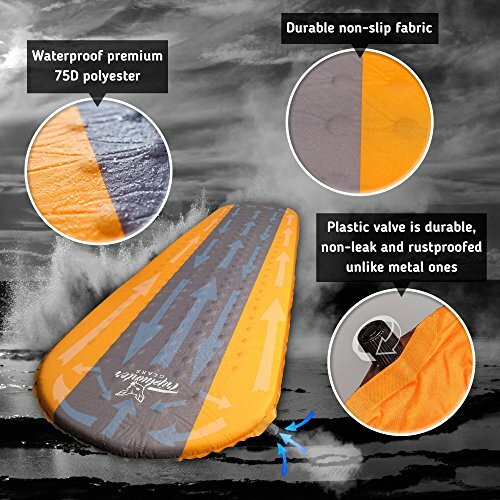 The construction uses a plastic valve – this is the most practical and comfortable option, as it prevents the plastic from getting rusty and doesn’t oxidize in soggy weather, while still holding air without leakage. 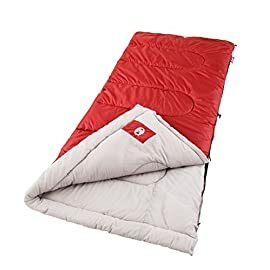 You won’t face the problem of waking up on solid ground or getting up at night to blow up the camping pad because of a weak valve. 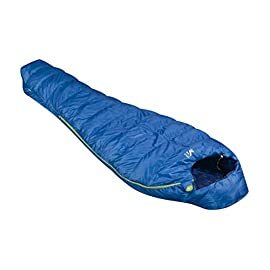 In addition to the self-inflating sleeping pad, we’ve included a transparent adhesive, which is conveniently sewn into the storage bag. 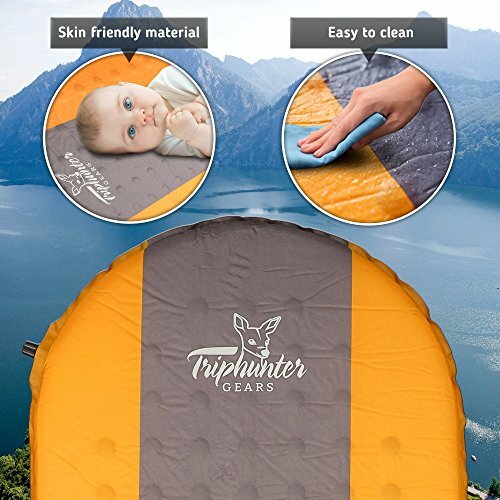 Add the best sleeping pad from Triphunter to your Cart right now! 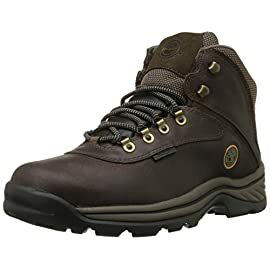 UNIVERSAL CONSTRUCTION. 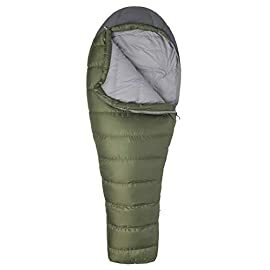 You’ll be able to use the Triphunter inflating sleeping pad when the ground temperature is above 20F. 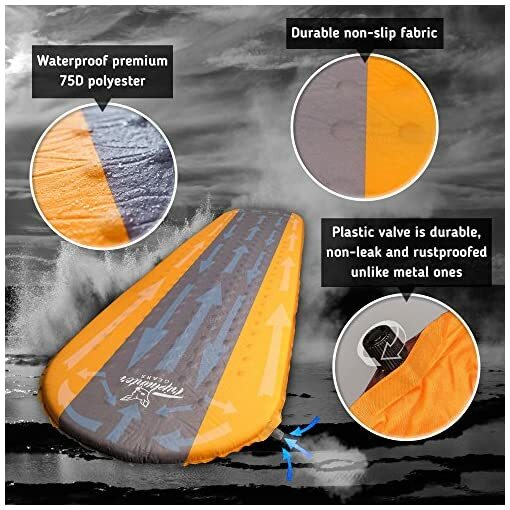 The material used is 75D polyester, which protects the pad from moisture and is durable and reliable. 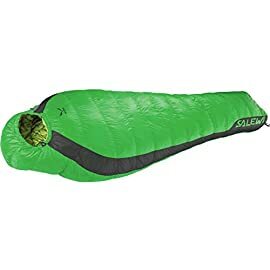 Great for people who weigh up to 220 pounds. 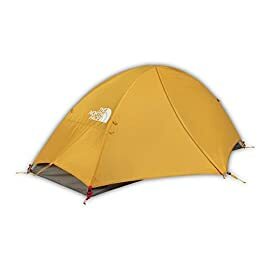 RELIABLE CONSTRUCTION WITH MENDING KIT INCLUDED. 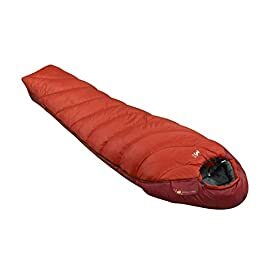 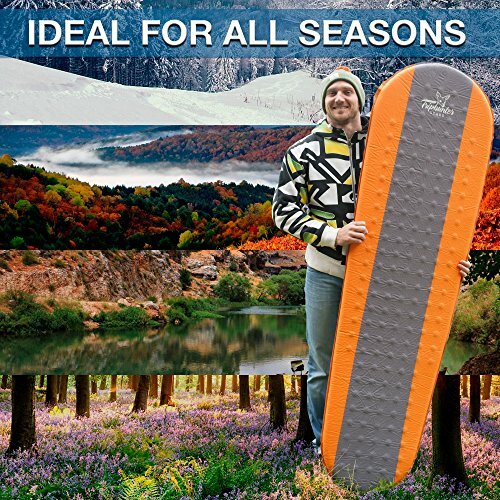 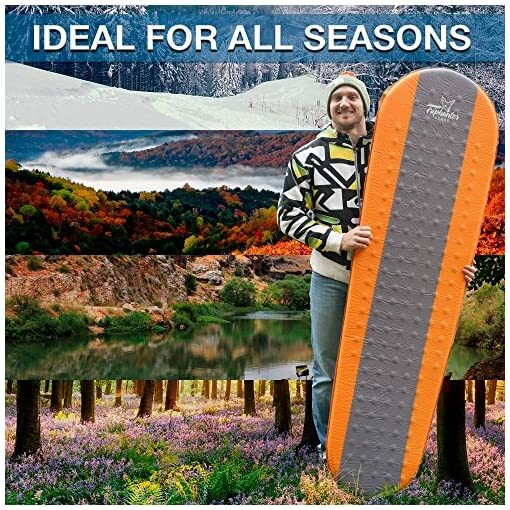 The sleeping pad has superior insulation and a durable plastic valve. 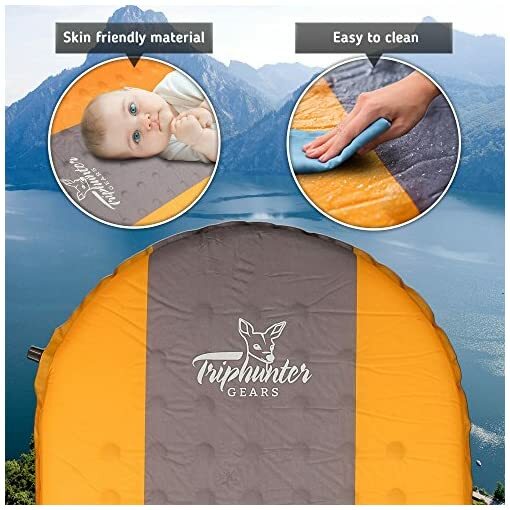 A special transparent adhesive paper for mending is sewn into the bag for convenient and safe storage, so you won’t forget it at home and it will always be at hand.